At this time of year, it is light in the early morning, but still gets dark very quickly after work. If I am to get anything done in the garden, then it has to be in the mornings. With 800kg of well rotted manure to shift – there’s no option but to set the alarm for 5:45am and put in a couple of hours before a full day’s work. 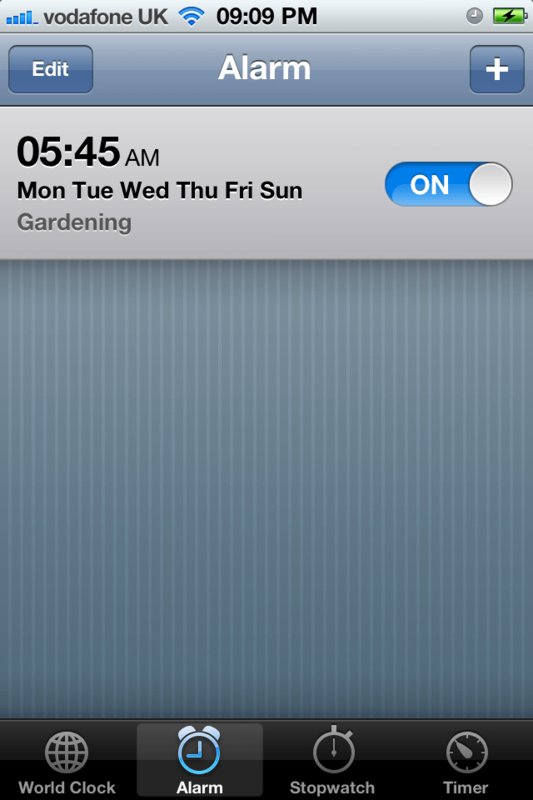 I am definitely not a morning person, but I will get up to work in my garden to get it ready for the coming season and I’m having to pull out all the stops.